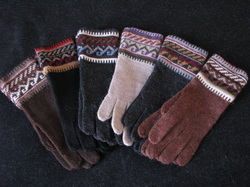 We are continually striving to improve our selection of fine alpaca products. 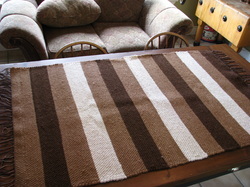 This page is designed to share new products both Canadian and Peruvian. 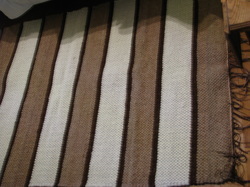 Check back regularly as we will be adding items from our travels in Peru. 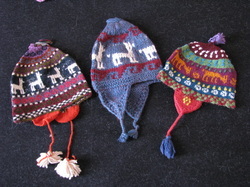 Items will be available from: Lima, Cuzco, the Sacred Valley, the Colca Canyon, Ollantaytambo and Arequipa. These cozy alpaca slippers would make the perfect gift. 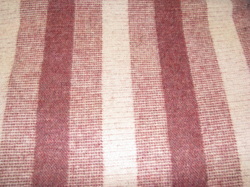 Available in different sizes and styles. 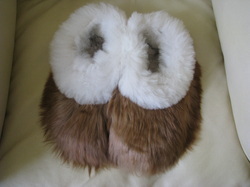 Slippers are selling fast so don't delay. Prices range between $59. and $75. Here is the perfect gift for that difficult person to buy for or even better treat yourself. This travel pillow hand-crafted by Nuevo Norte Alpacas is surely going to be one of those items that will be at the top of your travel list. Whether you are taking a short haul flight or traveling to foreign countries, you will not want to leave home without it. The 100% Canadian grown alpaca filling wrapped in a 100% cotton covering with an additional removeable washable pillow case offers comfort second to none. 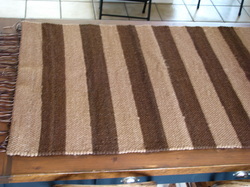 It measures approximate 25x35cm, It is easily compacted to fit into your luggage and then with a couple of shakes will regain its cloud-like loftiness. 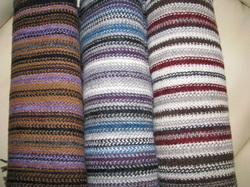 A limited number of scarves in different striped combinations are available. 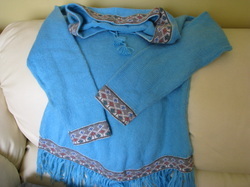 This beautiful bright blue sweater is available in a women's sm-,md fit. Only one available. 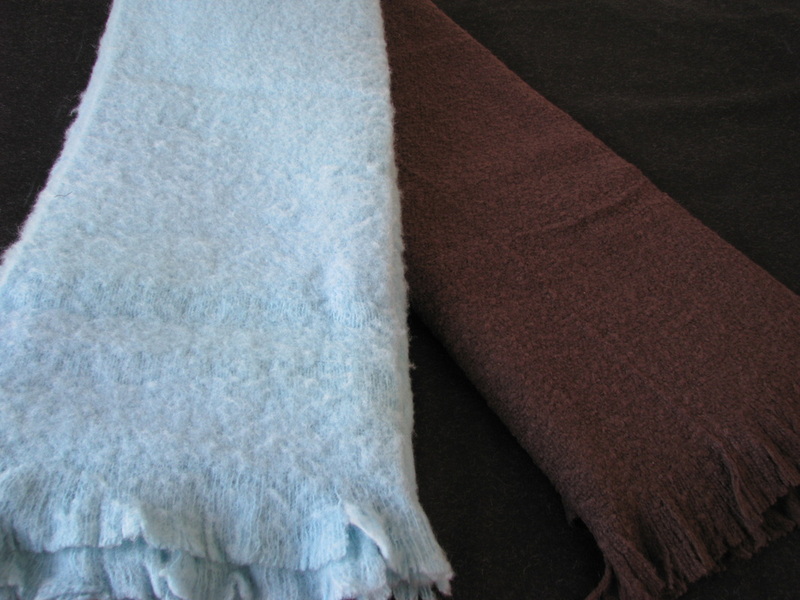 These beautiful mocha and vibrant baby blue coloured throws are 100% alpaca. 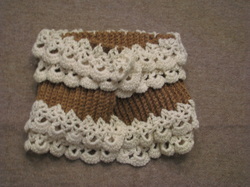 The brown throw is sold but it is still available in blue. 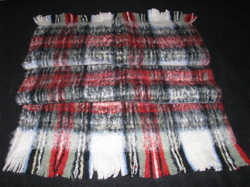 This plaid throw is !00% alpaca. 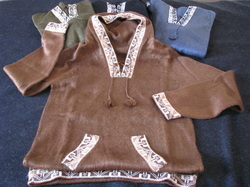 These alpaca sweaters are available in green, blue, black and caramel. 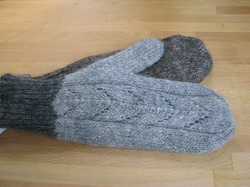 These alpaca gloves are available in the colours shown. Only 1 pair left in brown. 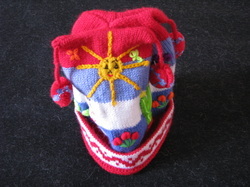 Colourful baby chullos are available in colours and designs shown. 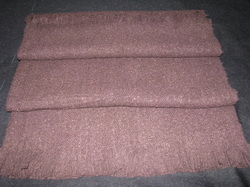 Feel the luxury of this 3x5 foot alpaca rug. 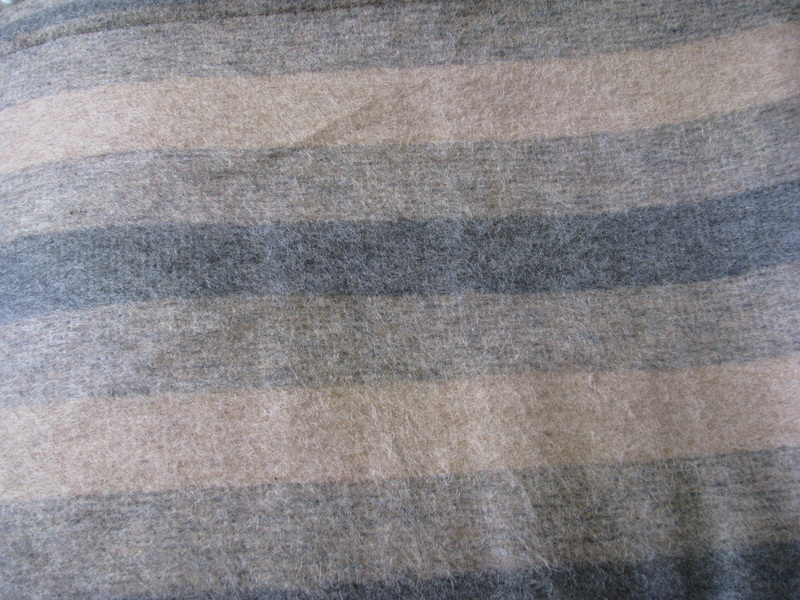 Made from our home grown alpaca fibre. 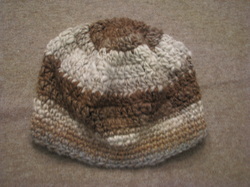 Beautiful one of a kind hat made from our farm blend alpaca fibre. $49. 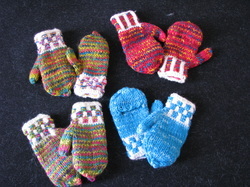 These gloves/mittens are from Peru. 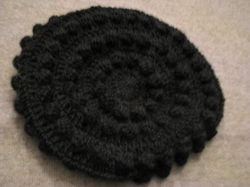 This is a one of a kind black beret knit from Aurora's rich black fibre.